maple and shade: Craiglist: another gem. It's amazing the things one can find on craigslist, ebay...my gosh, even the curb (as long as you are diligent in searching). People really don't know what they have, and, as goes the case in Charleston--they have too much money to even care; they simply want it gone to make room for new things. What's even better is the price-- $200. And yes, that's still a chunk of change. But, can you imagine waltzing into an antique store and coming across a gem such as this? The price tag would surely be hundreds more. Why so cheap? There's a watermark on the top--a watermark that's entirely curable with a little elbow grease. The owner is moving and simply doesn't have time to deal with fixing her up. So, dear sideboard...I guess this bids you goodbye. IS THIS REAL LIFE!!? i'm in desperate need of that. NEED! why dont those people live here in Lexington? WHY!!?? I am so happy I stumbled across your blog today, I absolutely love it AND the design - so well done. Have a wonderful Wednesday! What a deal! So classic! You should have been in Lex this weekend. They are getting rid of a TON of the furniture in the ADPi house. 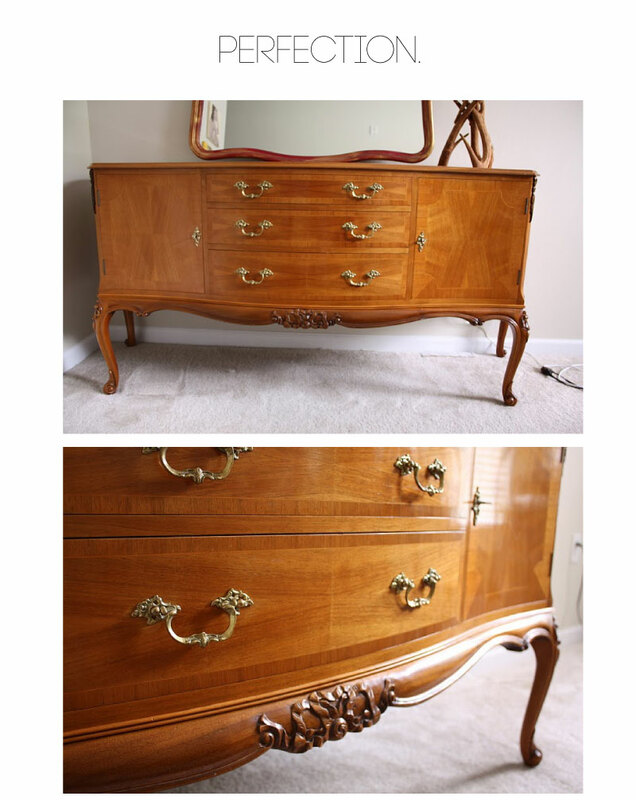 Remember those old dressers? My sister lives there now, so I was privy to this info. I snagged one. Don't really have room for it yet, but I plan on refinishing it or painting it.